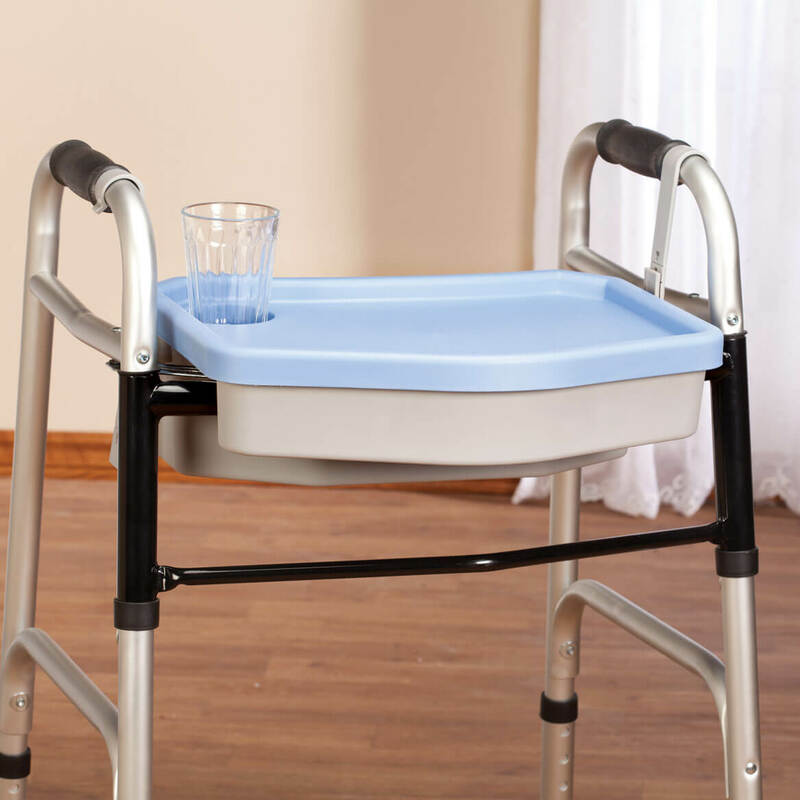 I purchased this item because the other "slip over the handles" trays did not fit my Dad's walker. It is secure with the indented bottom that goes over the front crossbar of the walker, and the clips that snap over the handles. The inside is large enough to fit newspapers, mail, personal items, etc. inside under the lid. Fosters independence as my Dad can now get his own meals and get safely back to his seat, and even uses the tray as a table turned around facing him. Great design, and it will fit most larger walkers. 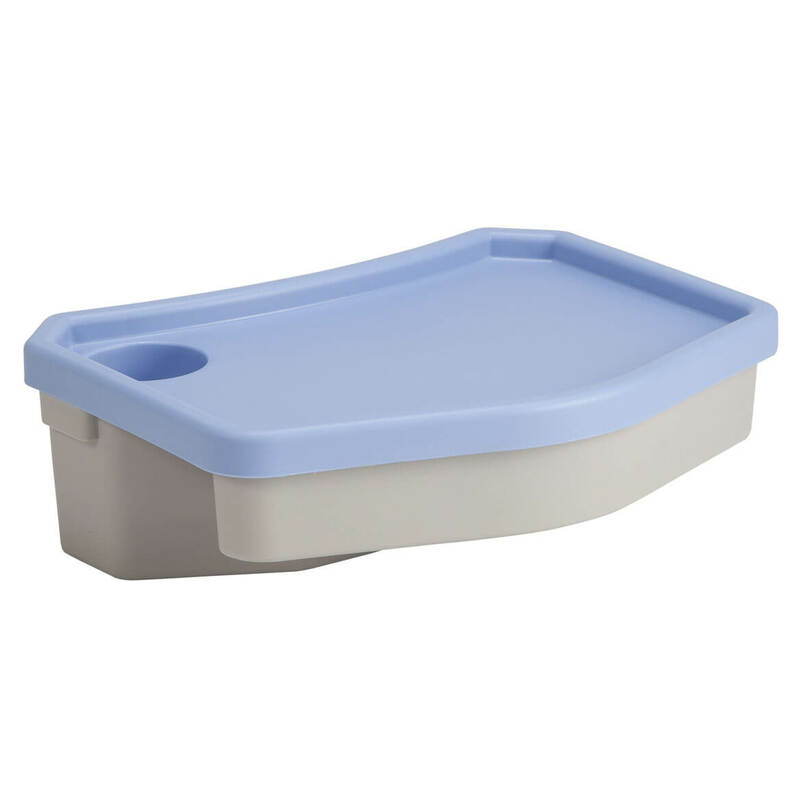 Could not find any other trays/caddies that fit the bariatric walkers. Will help my mom to hold to her walker & still be able to get her own food & carry her magazines with her. To see if it will fit on my walker. because the orther trays are to small. Getting ready to have knee surgery...live alone...got to have a way to get food from kitchen to dining room or living room.